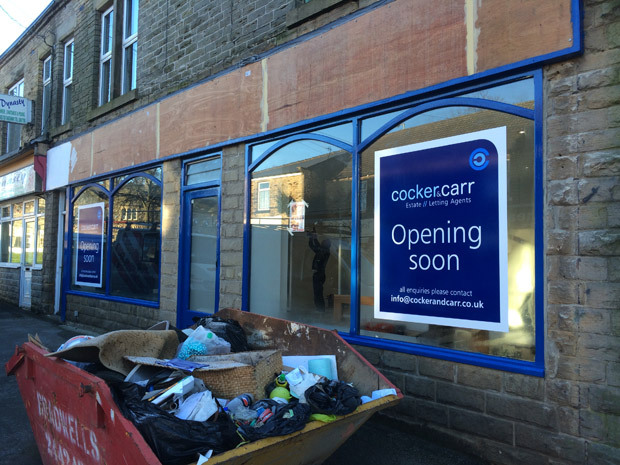 An estate and letting agent called Cocker & Carr will open in the former Bargain Booze off licence in Crosspool shopping precinct. The company website, www.cockerandcarr.co.uk, doesn’t seem to be up and running yet. This entry was posted in businesses, crosspool, shops and tagged cocker and carr, crosspool, estate agents, letting agents. Bookmark the permalink.